Been awhile since i shared a recipe here. Maybe more to come?! Let's hope. I am so excited to share with you this DELICIOUS meal. AND... bonus... it's paleo!! 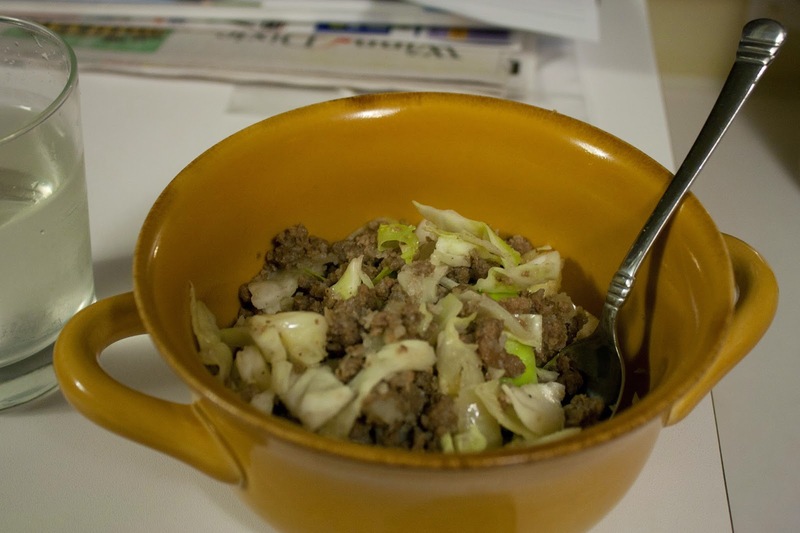 I first got this recipe from Stupid Easy Paleo, and it's actually for STUFFED cabbage rolls. 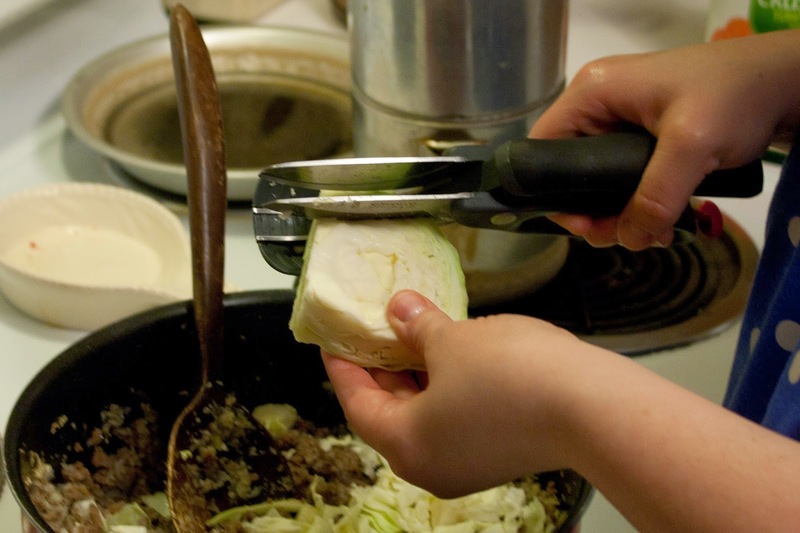 But when i got to the part of stuffing the cabbage, well. Things fell apart. And i just gave up & tore up the cabbage & added it to the stuffing part that was simmering on the stove. And guess what? IT WAS PERFECT! So i have made it two or three times since then, and now i do it that way on purpose. Because it's easier & just as delicious. In my humble opinion. But if you prefer to stuff your cabbage, by all means. :) Check out the original recipe here. The recipe below is my version. Notice the tomato stuff is NOT on my ingredient list. That's because when i was writing my grocery list, i forgot that i don't use them in my version. 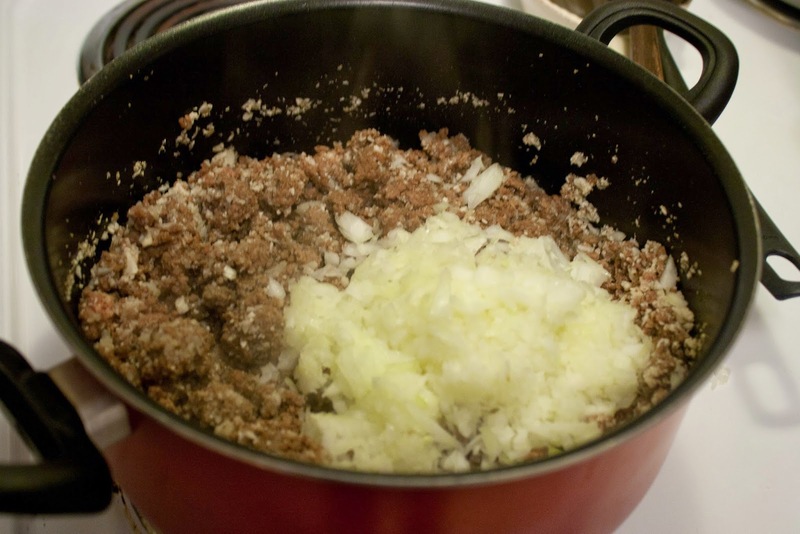 In the original version, she puts this mix under the cabbage rolls & over the cabbage rolls once they're in the pan. You don't need them if you do it the way i do. I'm kind of glad because i failed to read the ingredients before purchasing & discovered that the tomato sauce has high fructose corn syrup... a no-no if you're paleo. (It's bad stuff, y'all.) The other can is good, but i don't need it. All of that being said, i feel like the tomatoes could be included in my unstuffed version... but we just didn't wanna mess with a good thing. Ha! Maybe next time i'll be a bit more adventurous & throw some of that in, too! 1.) 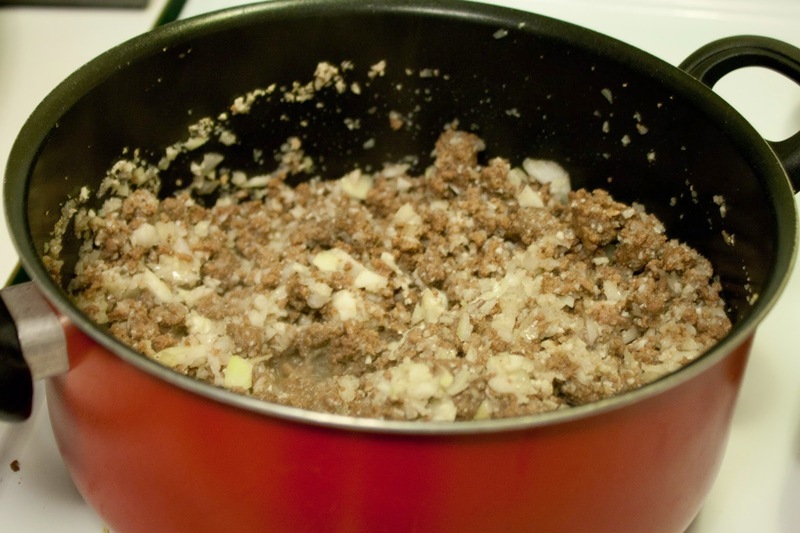 Put your ground beef in a pot, get it cooking! 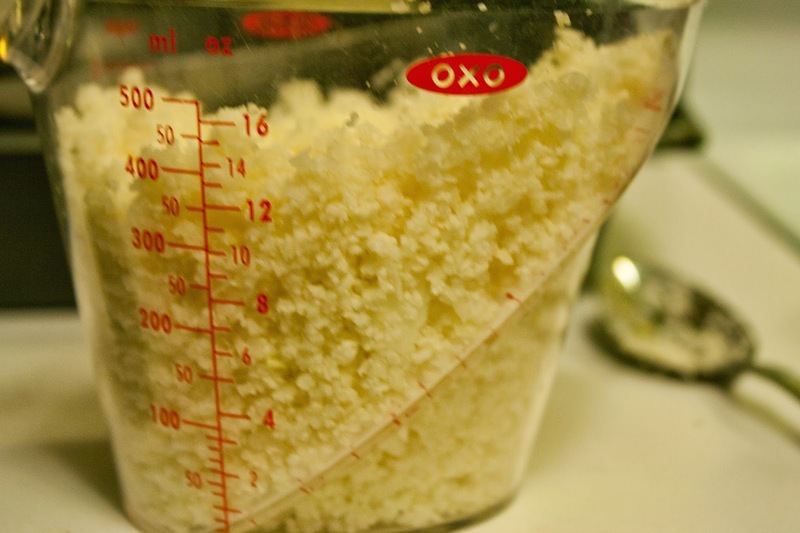 Add your salt, pepper & garlic powder, I just kind of tossed it in there, but if you need specific measurements, check that original recipe. I browned it in a little coconut oil. I didn't start using this stuff til my whole30. I LOVE IT. It's wonderful. Check out its benefits here! Don't let the word coconut freak you out. 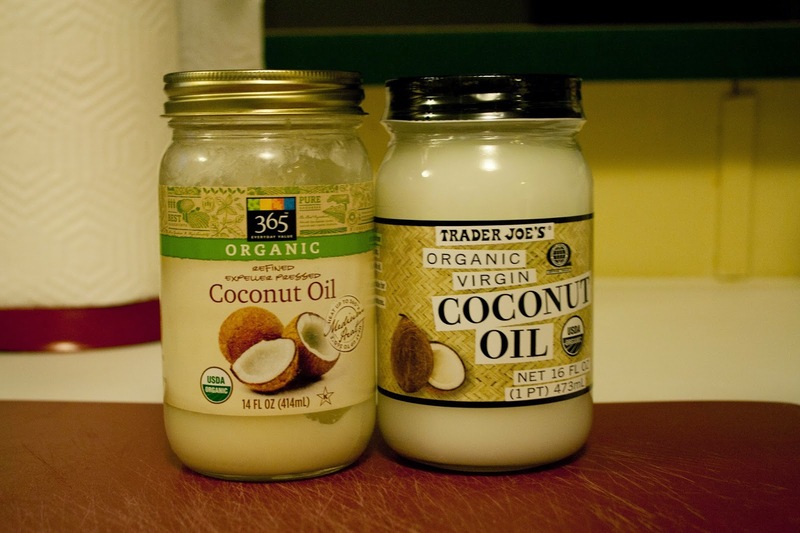 I know several people that hate coconut but like coconut oil. :) Of course you can use extra virgin olive oil if you prefer. 3.) 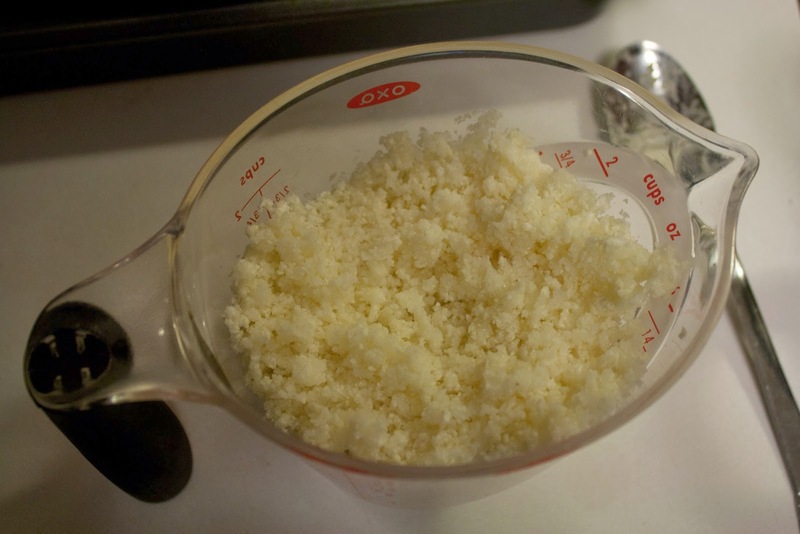 Add riced cauliflower to your pot. It will cook with the meat. 4.) Chop your onions (i use my food processor for this also. Saves SO MUCH TIME.) Add onions to the pot as well. Like so. 5.) Mix it all up real good & let it continue to cook. 6.) Wash your cabbage. 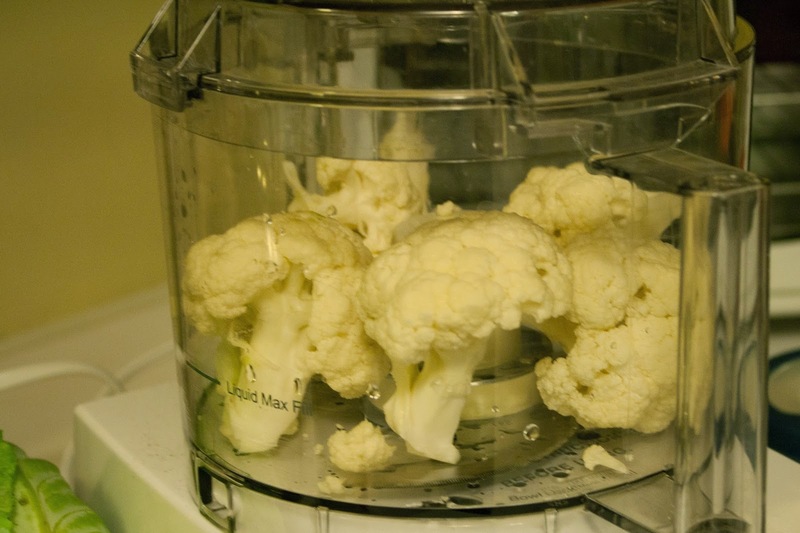 (Your cauliflower should be washed first too. Feeling like this should be a given?) Anyway. Chop up the cabbage & throw it in the pot. This doesn't have to be perfect. 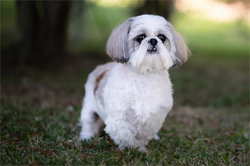 Doesn't need to be diced small like the onion. I chop it pretty haphazardly. I use these little scissor things that we got for a wedding gift. I LOVE THIS THING. 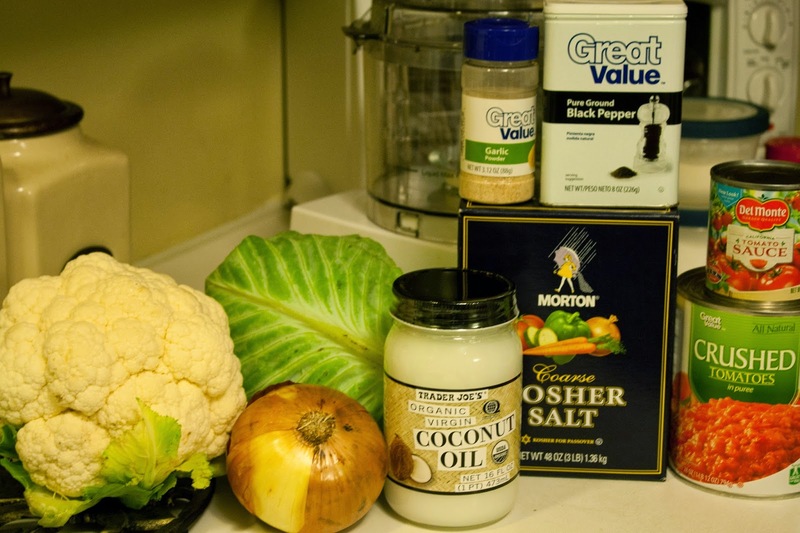 I used the ENTIRE head of cabbage, but you can use less (or more) if you want to. 7.) Mix cabbage in with the rest of the meat. Cover. 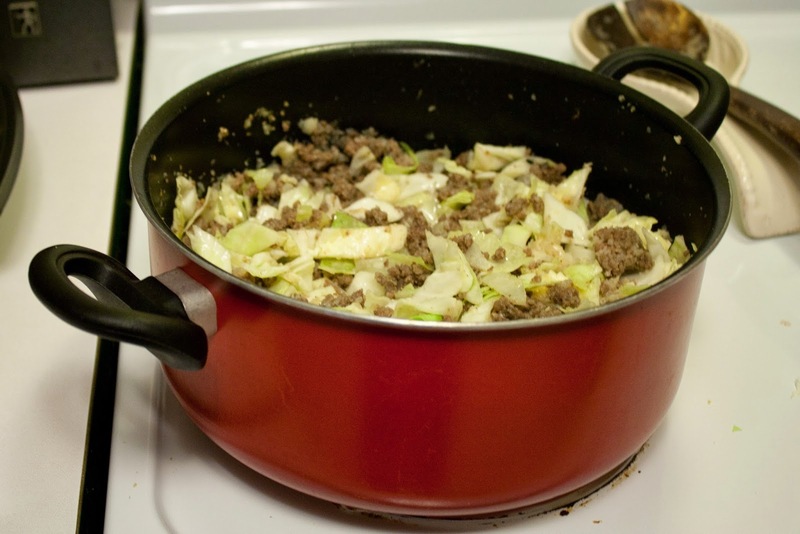 Turn temp to low or medium-low & let it simmer until the cabbage softens to your liking. YUM!!!! We were actually given some ground beef on Sunday (from a farmer at our church-- he just brought a bunch to give away, how awesome is that? It's organic and grass fed and it was FREEEEE!!!!) and I've been wanting to make cabbage, so this looks like the perfect way to combine the two!! Thanks!! Haha...I laughed out loud at your washing food comment, "I feel like this should be a given" haha!!! !